The proof is in the offspring. Salsa is the product of Moonstuck's careful breeding selection and training. 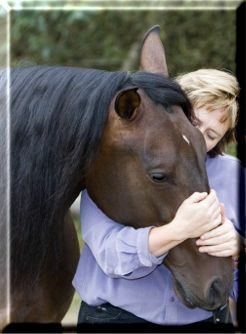 Raised with love - a horse anyone would cherish. 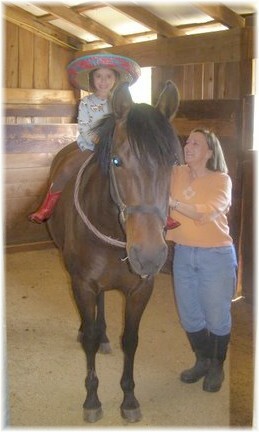 Shown right with her adoring human partner, Carla. 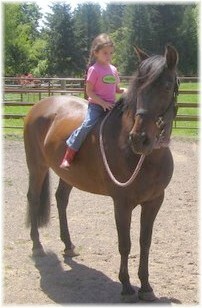 Salsa and Carla will be riding 3rd level in 2009! 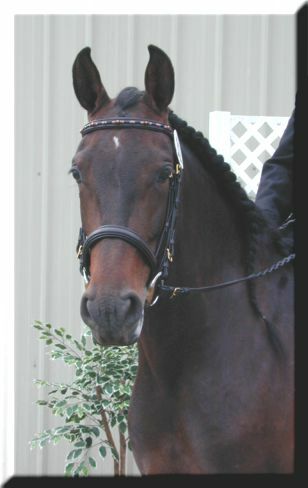 Salsa was shown at First Level dressage in 2007. 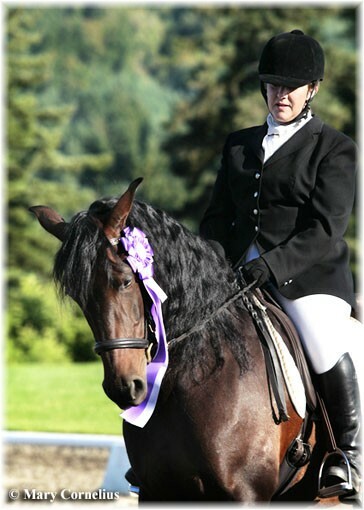 We are very proud to ride one of the few Andalusians bred and trained by an amateur owner in the NW. 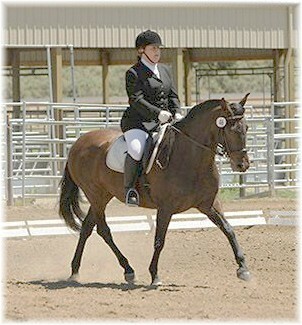 Salsa made her debut in the dressage ring in 2005 at Training Level. 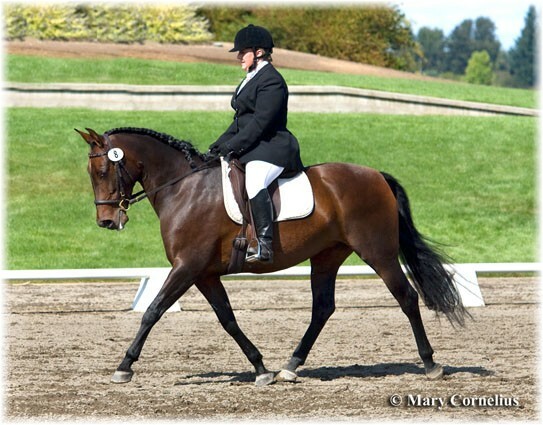 She and Carla ended up #4 in the USDF national All Breed awards for Adult Amatuer. 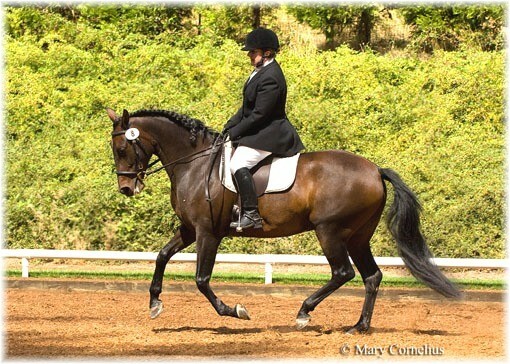 We are very proud of our first home-bred horse in the dressage ring. More to come in 2006 at First Level! 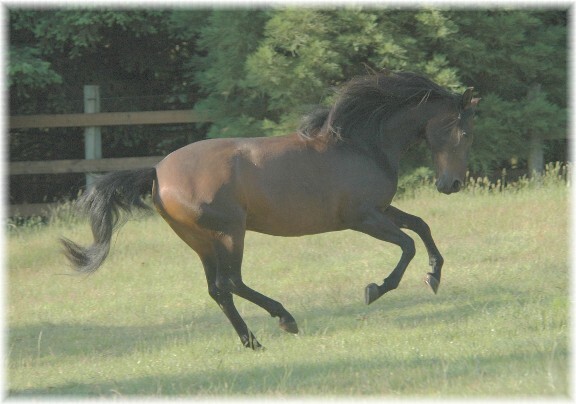 Salsa was injured in 2006 and we were unable to compete until the 2007 season. 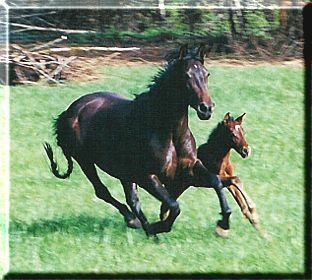 Salsa was bred to Berraco for a March 2004 foal and she presented us with this lovely colt. Salsa has proven herself to be a wonderful mother. 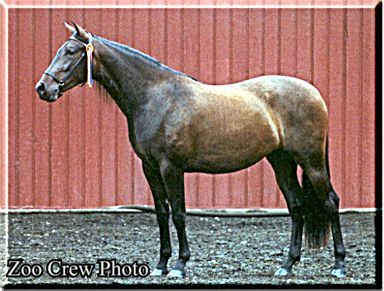 He was sold in utero to Mary Massey of Washougal, Washington. She named him Zapateado "Tap". Click here to go to Tap's page. 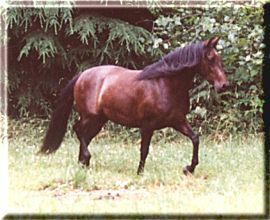 Our Salsa, a young lady at three years of age. Following two photos taken by Zoo Crew Photo. 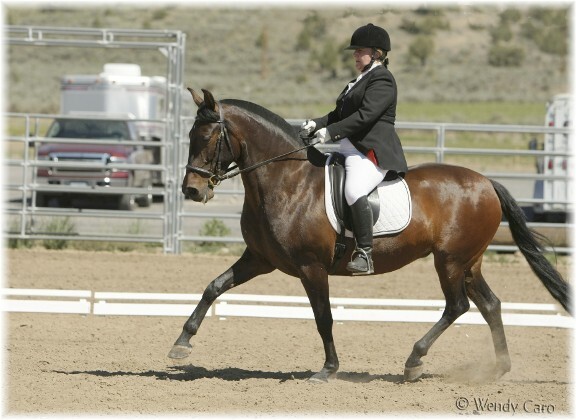 Salsa spent two winters growing up in the desert of Eastern Oregon. 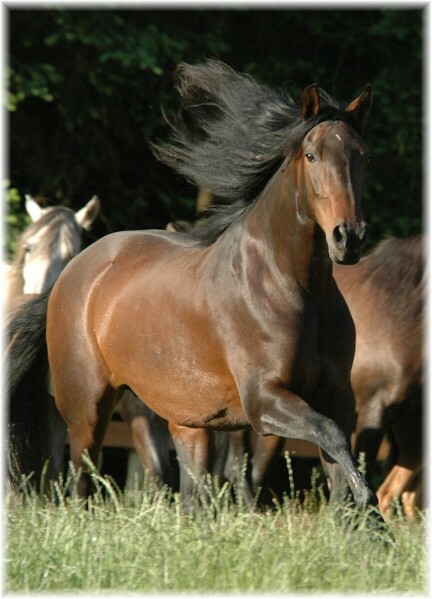 It is the perfect place for young horses to build strength, stamina and character. 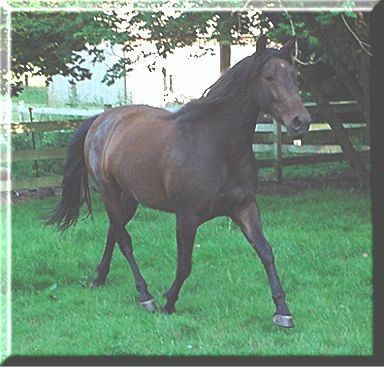 Shown left at two years of age , we are thrilled with her substance, movement and temperament. (Photo left April 2002). 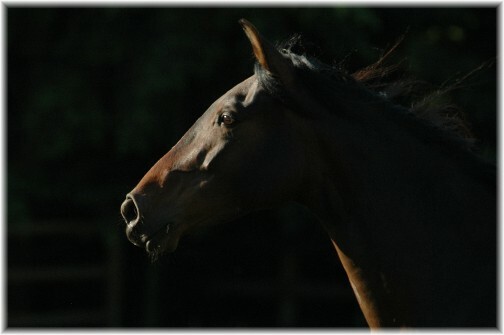 Salsa went on to win 2nd place in her large 2 year old halter class at the Festival of the Andalusian. (Photo right August 2002). 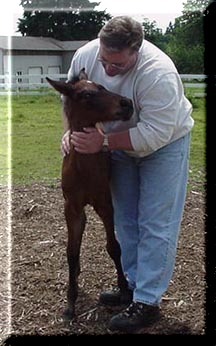 As of April 2001 Salsa is a strong, healthy yearling. She has grown substantially over the winter and will be working on new ground skills this year. 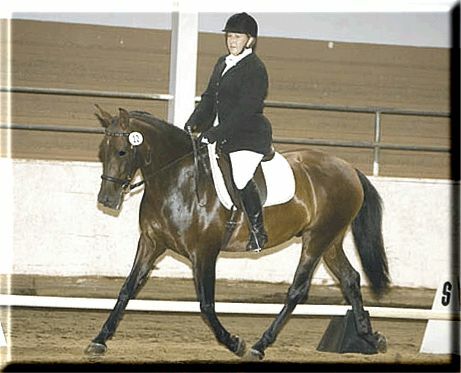 At a young age Salsa was already exhibiting the dressage characteristics I am breeding for. 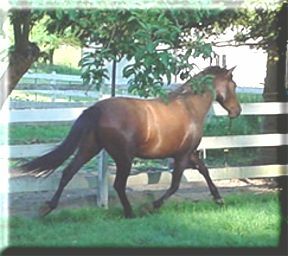 A lofty trot, lift in the front end and a straight, cadenced stride. 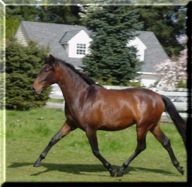 Her long neck, short back and strong legs will give her the frame that is required for the rigors of competitive dressage. 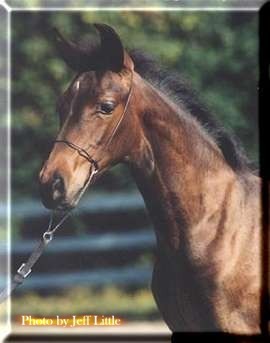 Shown here at 4 months of age. At two months, body clipped and ready for a beauty pageant. 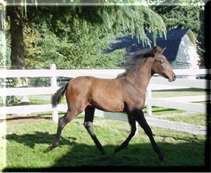 She is a dark walnut bay. Straight legs, short back, good hip and loin and the presence of a princess. Salsa loves to pose and enjoyed all the attention and primping on photo day. 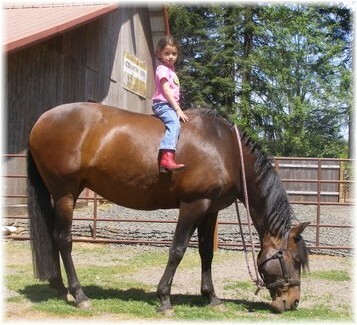 Always a bit of a ham, she prefers people to horses. 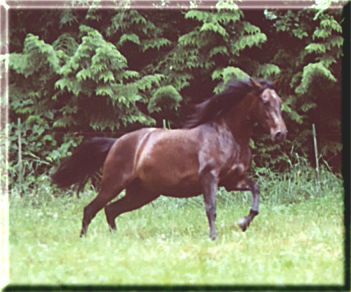 Born on June 5, 2000, Salsa was a delicate flower with the temperament of an angel. Her only white marking is a tiny star.